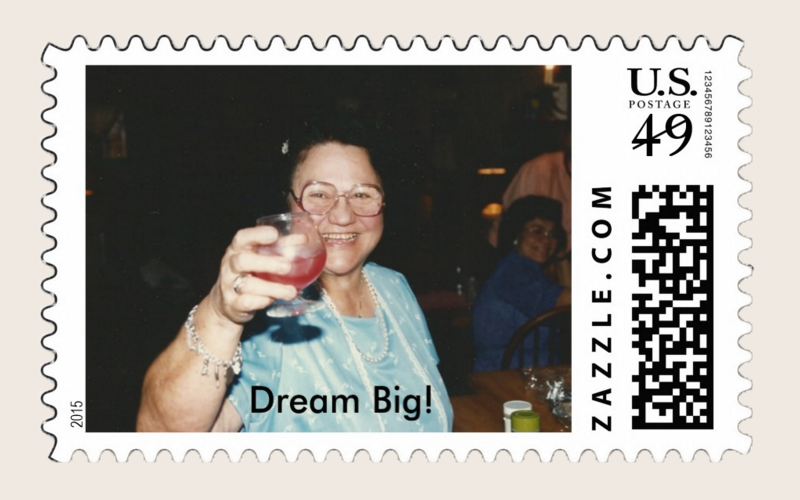 At Fran's Table – Page 2 – Sit down at my table and share Italian memories, random thoughts and great recipes! When I was young, my mom went through phases in her food. There was the red wine and onion phase, the hot dog phase, the chocolate chip phase and the peanut butter phase. Although the hot dog phase made for some interesting combos, like the hot dog pizza she made once, it wasn’t her most shining culinary moment. But her chocolate chip and peanut butter phases still fill me with longing. I think I’m in my peanut butter phase right now. Last blog post was about peanut butter pie with peanut crumble topping. I think I even inspired my brother to make a couple of pies. Thankfully, this week’s recipe is much simpler. It’s a peanut butter and apricot preserve roll. My apricot and white nectarine preserves with some labels that were my mom’s. The pen is from Wholey’s Fish Market in Pittsburgh! I bought a bunch of apricots at Costco the last few weeks and made preserves because they’re so stinking good! I made the lower sugar variety this time and they were every bit as good as the regular preserves. I think 4.5 cups of sugar seems like plenty for 7 jars of preserves, right? Normally apricot preserves take 7 cups of sugar! Holy overload, even for a sugar lover like me! The preserves were so tasty, it inspired me to make one of my mom’s old favorite recipes. It’s a great one to make when you’ve made a pie and have leftover pie dough. children love this and can help make it too! You just take the remaining scraps of dough, squish them together, then roll them out like a pie crust. Then you spread it with smooth peanut butter and on top of that you spread a thin layer of whatever preserves you like. (I’m a real fan of apricot and I think it tastes the best in this recipe.) Make sure you leave about a half inch all around the edges with no peanut butter or jelly, so you can seal them. Then you start as one end and roll the whole thing up. Once it’s rolled, you dip your finger in water or egg, and run it along the edges and press them together to seal up the dough. You place it on a small cookie sheet and bake it for 20 minutes or until it’s golden brown. Then you cut it up and try desperately not to eat the whole thing in one sitting. You could do a whole pie crust if you wanted to get crazy. Even buy one at the store, if you don’t want to mess with the whole crust making ordeal. But make sure you roll it out a little more because store bought crusts tend to be a little thick. Then get the kids to spread it with peanut butter and jelly, and you can all roll it up, bake it quickly, and have a simple, yummy summer treat! Peanut Butter and Apricot Jam Roll-ups. Roll out the pie crust so it’s fairly thin, Spread the peanut butter, then the apricot preserves over the crust. Be sure to leave about a half inch with no peanut butter or jelly along the edge. Starting at one end, roll the pie crust so it becomes one big roll of dough and seal the edges with a little water or raw egg on your finger. Place the roll on a baking sheet and bake at 350 for about 20 minutes or until golden brown. For a larger roll made with a whole pie crust and not just scraps, you might need to bake it 30 minutes or more. Just make sure it’s golden brown. Eat it warm or cold, it’s great! Blackberry Pie with Peanut Butter Crumble? – Oh Yes! What pushes a mostly sane woman to wade into a flesh-tearing patch of blackberry brambles? The promise of hot, crisp blackberry pie with peanut butter crust and crumble. Add vanilla ice cream and you have a holy experience. And I must say thank you to Brian and Pam Ellis, my former next door neighbors, who always let me know when the berries in their yard are ripe for picking. Good neighbors, are a treasure. Fresh blackberries, (or Marionberries – I think) so worth it! I’ve written about pie before. This was one of the pies included in my Pies and Virginity blog. But, in retrospect, I think blackberry pie with peanut butter crust and crumble really deserves its own blog post because it’s a delicious pie, that’s destroyed many a diet. It was pioneered by my mother, and proudly carried on by me. I may not remember the name of the actress in the movie I saw 20 minutes ago, but I never forget a life-altering food moment. One of them was the time my mom decided to put peanut butter in a crust she was making for a blueberry pie. I tasted it and knew my mom was a food genius, it was that good. You can also just make this a crisp, by eliminating the pie crust bottom. It’s also killer good, faster, and a lot less work. As I’ve said many times, we are all ho’s for blackberry pie and the peanut butter puts a blackberry pie in a whole new category of yum. To make the crust, I just take my regular pie crust before it’s rolled out, put a tablespoon or two of peanut butter in the middle, fold it over, roll it, and fold it again a few times, then roll it out. It leaves the crust looking swirled with peanut butter. *Also, make the crust first, then the crumble so it’s easier to assemble quickly. You don’t want to put the berries in the crust too long before you bake it, or it will get soggy. And bake it closer to the bottom of the oven so the bottom crust gets crisp. Mix flour, salt and sugar together then cut in Crisco and butter. Mix well, it forms small crumbs. Add enough milk so that dough can be molded into soft balls. Better that the dough is too soft and sticky than too hard. Once you add the milk and have made about four or five balls, wrap each one in flour coated plastic wrap, flatten it into a disc, and cool it in the refrigerator or freezer. Then take one of the flattened, cooled pie crusts, roll it slightly, and add one to two tablespoons of creamy peanut butter to it. Fold it over, roll it out a little, then fold it over three or four more times. The peanut butter should look like swirls in the crust. Roll it out on a floured board and place it in bottom of a pie pan. Flute the edges then fill it with berries. Mix together the berries, flour and sugar thoroughly, then place them in the bottom peanut butter swirl crust. Sprinkle a light covering of the peanut butter crumble top of the pie. You don’t want too much because the crumble absorbs a lot of the liquid, so you’ll have all crumble and not enough fruit. (You may need to lay a piece of aluminum foil lightly on top of the pie or crisp, so the crumble doesn’t burn.) Bake at 350 for an hour or more or until you see the pie really bubbling and crust is brown. Use a pie crust shield to protect crust from burning. And make sure you put a cookie sheet underneath or some aluminum foil to catch the drips! How Safe is Your Non-organic Fruit? I was just at the grocery store, drooling over all the beautiful nectarines, apricots and peaches that are out and looking ripe, juicy and utterly delicious. But I always wonder, is it safe to eat if it’s not organic? My friend, Dawn, a Key West artist, has always been a big proponent of eating healthy, which means organic food to her, and most people. But do we have to eat organic? Dawn sent me a print out from a magazine article about what non-organic fruits and vegetables are OK to eat, and what should always be bought organic. A lot of people don’t have the luxury of buying organic food because it can be pretty pricey. I happen to be one of them, but when you think of pesticide residue going into your body, I guess I can’t really afford that either because one day I may be paying for it with my health. I wondered, do pesticides really hurt you? How could a beautiful apricot be bad for me? It looks so innocent. Apricots didn’t make the dirty dozen list, so there’s hope! There isn’t much research on how harmful pesticides are when ingested with fruits and vegetables, but there has been research on people who work with pesticides — either applying them, or picking the fruit –and that shows pesticide exposure definitely hurts you. I thought this article in Consumer Reports called, “Eat the Peach, Not the Pesticide,” was pretty good. I did some research and it looks like the article Dawn sent me was also in some other publications, like this one from 2010 on PBS So Cal. There is The Dirty Dozen, which you should always buy organic, and The Clean 15, which don’t need to be organic. There was a slightly different list on the publication she sent me. It didn’t include domestic blueberries, but did include tomatoes and hot peppers. It didn’t specify imported grapes — just grapes, and it included pears. And on this list, watermelon is listed as clean, but on the list Dawn sent, honeydew melon and cauliflower are listed as clean, which are not on this list. But overall, the lists were very similar. Listen, don’t worry too much. Just go shopping and buy a juicy, (hopefully) organic nectarine, take a big bite, let the juice roll down your face and savor the sweetness. Now that’s summer! Hope you had a Happy Summer Equinox! Memorial Day usually makes me think of cook outs and barbecue, but this year, I’ve been thinking about soldiers. Maybe it’s because I’ve been watching another Ken Burns documentary, this one about World War II. Or maybe its because I know how much being a soldier in that war meant to my dad. He came back from World War II with an Army tent, his canteen, mess kit, a gas mask, a fork and knife with U.S. stamped on its handle, a very rough wool army blanket and more. He never talked about the war until he was about 95. All he would say was, “War is hell.” Then, suddenly at 95, it was all he wanted to talk about. We would walk into doctors offices and he would strike up a conversation with anyone who’d listen about the war. But there was one story I’d never heard from him until about a year before he died. My dad, in the foreground, in Marseilles, France. After training in Ft. Lewis Washington he went to Europe. He spent time in Brussels Belgium, Marseilles France, England and probably a few other places I can’t remember. My dad served as a medic in the war in the European theater. He was under Gen. George Patton. He heard a few days later that his young friends had been killed in the mission and it left him wondering why they had to die and not him. I bought this for my dad a year before he died. He wore it proudly. I don’t have the answer. Maybe it’s just luck, or fate, or God’s will, but I wanted to take a moment to say thank you to those two young men. I wish I knew their names, so I could salute them properly. If it wasn’t for their sacrifice, I’m sure I wouldn’t be here. I know my dad thought about them often. I think they would have been proud of how he lived his life and kept his military bearing until his last years. One of my favorite memories of him was from my last visit with him in New Brighton. I’d been home and done as much as I could for him in the few days I had. He was very appreciative and it was a great visit. As I was leaving we had our usual hug and tearful goodbye. Normally, he’d walk me to the door and wait there, waving until I pulled away, but old age changed that. Dad, in the front yard with a flag my brother Bob bought him. This time, as I was walking away, he struggled out of his recliner chair, wobbly without his walker. He stood as straight as he could in the middle of the living room, wavering slightly, and saluted me. It didn’t register with me at the time, but now I know that was the highest honor he could have given me. It was the last time I saw him conscious. On Memorial Day, I salute him, and all the men and women who’ve fought and given their lives for our country. I know I would’t be here without two of them. Well, I can’t say I’m Eleanor Roosevelt, when it comes to creating change in the world, but maybe if I start, one street at a time, I can make a difference. I just finished watching Ken Burns: The Roosevelts on Netflix and was absolutely mesmerized by these remarkable people. I’ve been searching for political figures who inspire me lately, and I remembered my mother always speaking so fondly about President Roosevelt. I thought I’d watch and see why she felt that way. It was a seven part series and I became totally engrossed in it. Teddy, Franklin and Eleanor were all truly remarkable people we were so lucky to have. They were all such stellar examples of how adversity can really test a person and make them come out that much much stronger. If you haven’t seen it, check it out. I was a little surprised to see that history pretty much keeps repeating itself and we keep having the same arguments and discussions. Too much government interference, not enough government, and on and on and on. It seems to me that things improve by tiny increments, instead of leaps, but they do improve. We just can’t give up. It’s as if they expected a waitress to come along and just pick it up. Which brings me back to my trash issue. I’m not sure why, but I’ve always been concerned about trash. The giant pile of trash floating around in the Pacific Ocean is the biggest manifestation of the problem. But I also worry about our landfills and all the plastic that’s not recycled there, and how all that trash is going to come back to haunt us someday. Then there’s all the trash I see when I go to the ocean or the river. Why are people so cavalier about just tossing stuff in the street? How do they not get that this is the only planet we have? I’ll never understand it. Well, it’s a start. I’m going to write to the elementary school principal down the street from me and see if they will start teaching their kids about the litter all over our streets and what they can do to make a difference. Like I said, we just can’t give up. Sitting on the couch tonight, I had my arms crossed over my head, thinking of what to say about Mother’s Day. My fingers on my right hand happened to be touching my pulse on my left hand and I could feel that tiny, steady, thump, thump, thump. And it occurred to me that that thump started with my mom giving birth to me all those years ago. And I wonder where my kids get their inability to take a normal photo with me. Along with that pulse, I was lucky to get love, encouragement, a wonderful family, a twisted sense of humor, and a serious appreciation for delicious food. They’ve all been essential in my life, but none more than encouragement. My mom always encouraged me. Always told me I could do anything and be anything. The only person who doesn’t agree lives in my head. She’s been there forever. I’ve tried to evict her, but now I just let her say her peace, then tell her to shut up. So, I salute all you moms this Mother’s Day. If it wasn’t for your encouragement, sense of humor, and love there wouldn’t be people out there daring to live life and make a difference in the world, with whatever gifts they have. God bless every one of you. Happy Mother’s Day! My poor mother. Here she is trying to give me a dollar so I can buy her a lottery ticket. But I had to get his shot first. At What Age Does Crankiness Set In? But I could just hear my daughter saying, “Mom! That’s what a crazy old lady would do.” So I did the slightly less crazy thing and sent the man a letter, enclosing the label from the box I just recycled for him. As if a waitress was on every corner. I couldn’t help it, I was so ticked off! . My block is only 287 steps long, I only picked up my side and it totally filled a kitchen garbage bag! So, below is what I wrote. Please read it and let me know if I’m getting pissy, or what…because I think I might be. At what age does getting cranky/pissy/irritable start? I know some 20 year olds who can be pissy, so I don’t think there’s an age limit. I think I’ve just been too nice all my life and finally, I’m fed up. Especially when it comes to littering our beautiful earth with trash. I was out walking this morning and saw you left an empty cardboard box, with your name and address still on it, on the street near my home. Why would you do this? Do you not have recycling or trash cans in your home? Was your car so full you couldn’t have taken that small box home and disposed of it there? There’s a garbage can right down the street from where you carelessly dropped the box, could you not have dropped it in there, at least? You must be somewhat intelligent, you’re ordering things for your computer, so how do you not understand the effect of dropping your trash in the street? The world, and my street are not your trashcan. When you leave trash in the street, it gets pushed into our rivers and oceans, polluting them for our children and grandchildren. Maybe you don’t have any children today, but you may someday and you’ll have to answer to them about why our oceans are so polluted. It’s because people like you don’t care at all where you toss your garbage. Please think about it and do your part to save the environment, while there’s still something to save. In the meantime, please keep your trash to yourself or in the trashcan, not on the street where I live! He is probably laughing his head off, or maybe it got through. I ‘m an optimist, I like to hope it got through to him, particularly since it cost me 50 cents to send it. So, a belated Happy Earth Day to you. I plan to contact my local government to see if we can get some trash cans installed or someone (besides me) to come and clean up the area, or get an education program started, or something, so I don’t get really cranky and start accosting people on the street. And I think a Sierra Club membership may be in order. If nothing else, it’ll be a group of people equally cranky about the environment, and we can all rant together. I wish you and all of us an Earth that gets more beautiful as time goes on. This was all the garbage on my side of the street –one short trashy block.